The lovely, not so common, creamy white version of one of the world's favorite wildflowers. 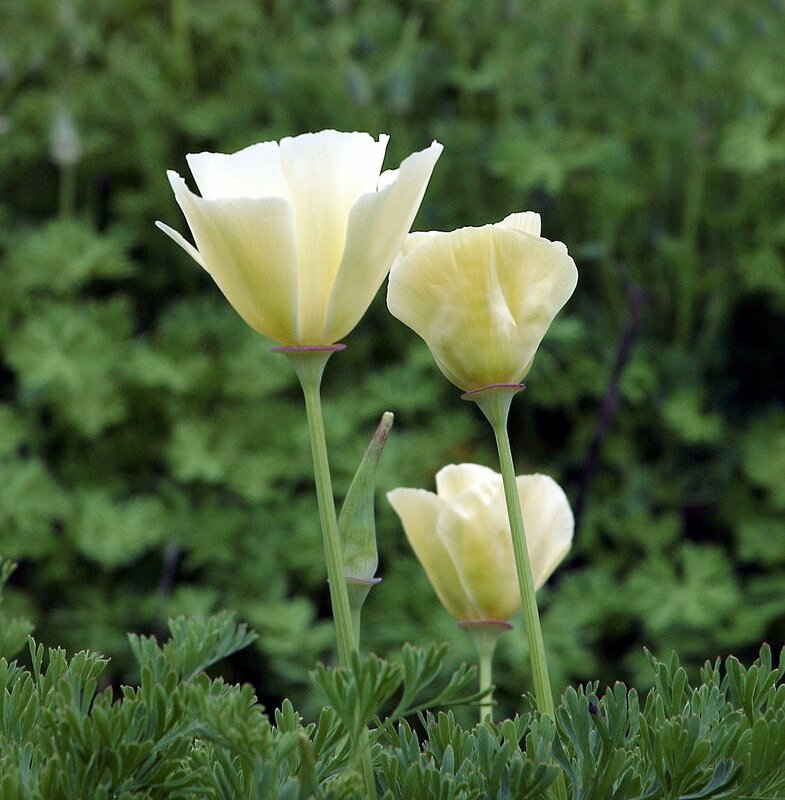 The Poppy flower is creamy white, silky, and measures 2 - 3 inches across. This Poppy blooms best in the cool weather of spring. California Poppies are great for mixed borders, look fabulous with black flowering companion plants, or stunning when planted in a mass grouping on the garden edge. Grows 12 - 15 inches tall, blooms profusely with finely divided blue-green foliage. California Poppies are easy to grow, and will self-sow. If you allow them to go to seed you may only need to plant them once. The White Linen Poppy is a perennial that is usually grown as an annual. In zones 7-10, though, the foliage often overwinters. White Linen puts on quite a show of delicate paper-like petals, especially when planted in abundance.